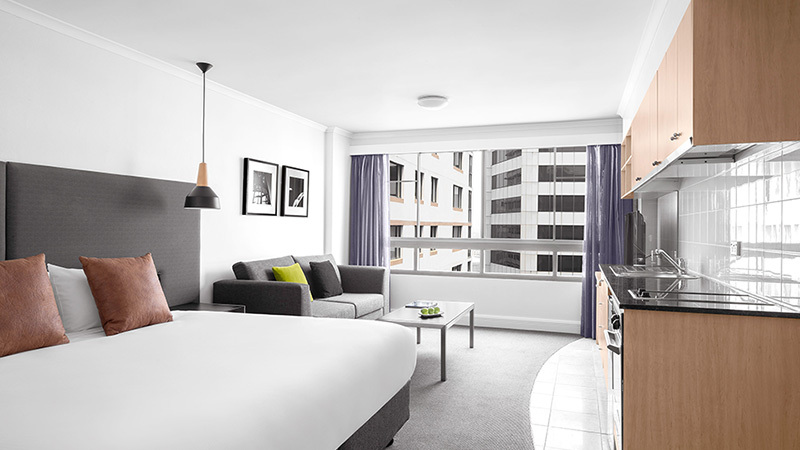 Newly refurbished apartments conveniently located between Darling Harbour and the Sydney CBD, perfect for business and leisure travellers alike. Situated in the heart of the Sydney CBD overlooking iconic Darling Harbour, Mantra on Kent provides a stylish and comfortable haven for those travelling on business or for savvy holiday-makers who want to be at the centre of it all. 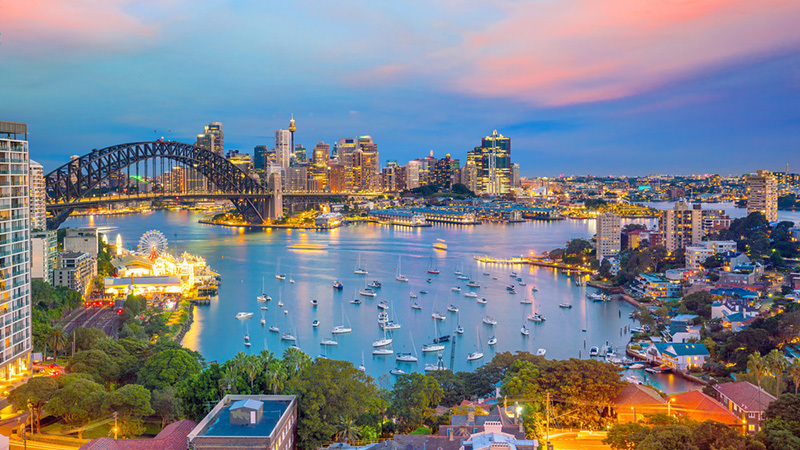 Mantra on Kent's spacious accommodation Sydney hotel offers proximity to all of the city's must-see attractions with Darling Harbour a mere two minute walk and all the shopping of Westfield's Pitt St Mall a five minute stroll in the opposite direction. 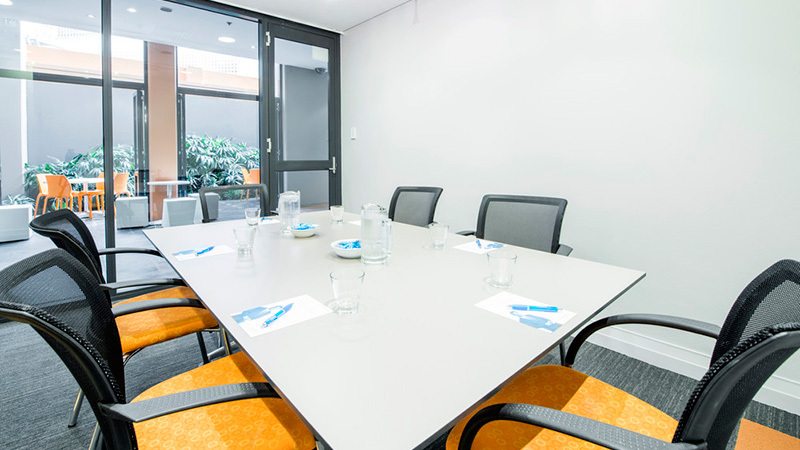 Located two minutes walk from Town Hall Station and 30 minutes drive from Sydney Airport, our Sydney accommodation includes a variety of spacious studios and apartments all with contemporary design and the convenience of kitchenette facilities as well as LCD televisions. While staying at Mantra on Kent our friendly staff can attend to your every need with 24 hour guest reception and for a comprehensive breakfast or quiet drink head to our signature restaurant, Cascades. 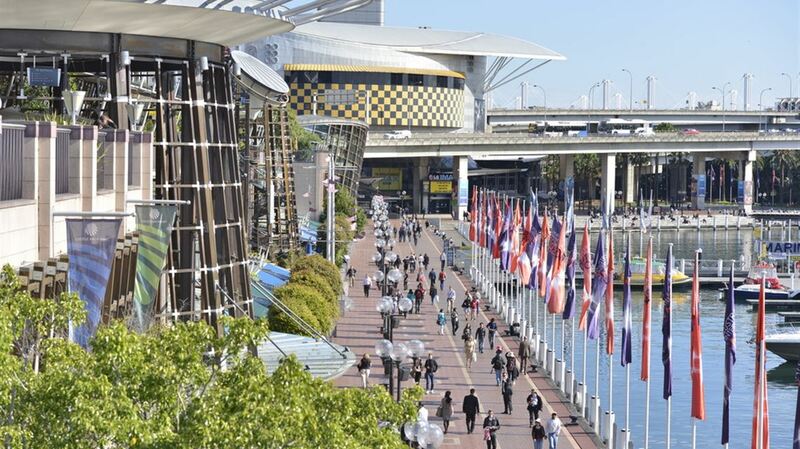 Sydney is a city full of exciting things to see and do and all are within easy reach of Mantra on Kent. On those beautiful summer days take the short journey to Bondi Beach for amazing sun and surf or for some indulgent retail therapy wander the length of Oxford Street in Paddington.